Jennifer Hudson just can’t keep still these days. The “Spotlight” star has been busy wowing fans with performances, promoting her latest album and prepping for the role of a lifetime as Winnie Mandela. The poster for the highly-anticipated biopic has finally been revealed. 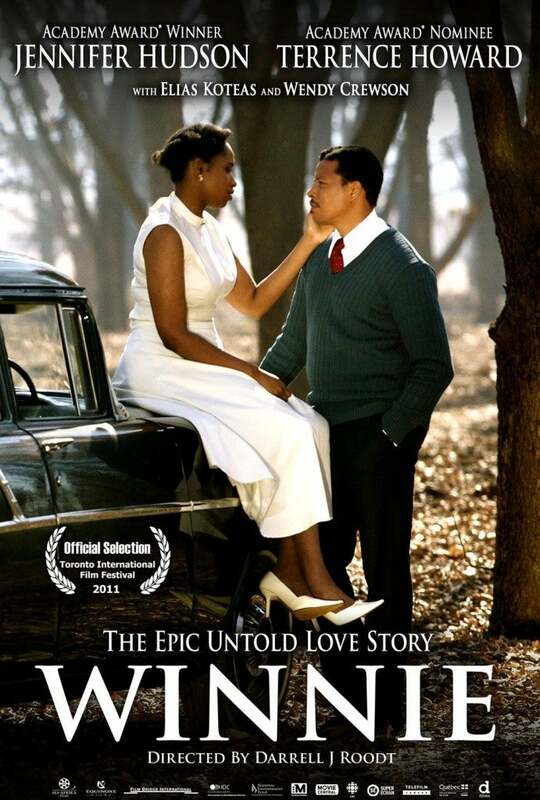 Branded as the “epic untold love story” between Winnie and Nelson Mandela, J-Hud depicts Winnie throughout her years as a South African revolutionary and devoted. The singer stars alongside Terrance Howard as Nelson. Check out the poster above! Thoughts? PHOTOS: Celeb Moms: Jennifer Hudson and David Otunga Jr.
Plus, the Chi-town diva also recently rocked the stage in her hometown at Chicago’s Paris Club’s upstairs lounge Studio Paris and has reportedly joined the superstar lineup for Michael Jackson’s special tribute!